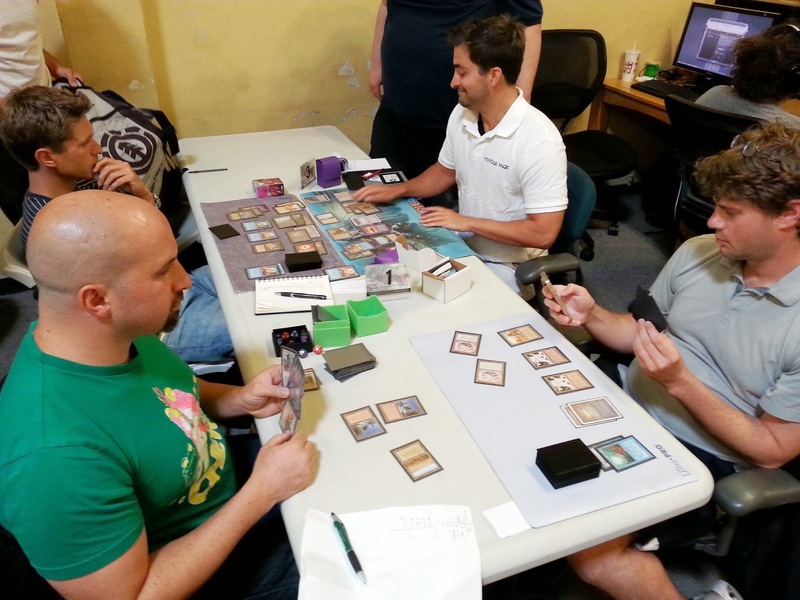 "Most of us around here are new to the format, but our first event was very successful. We have a fairly strong Vintage scene in Northern California, with several players who have been playing Magic since the beginning. 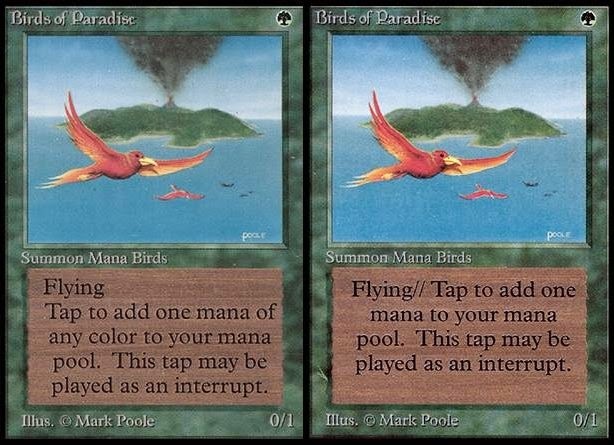 Our approach to Old School Magic is less focused on collecting and more focused on playing with old cards. For this tournament we allowed Fallen Empires, Revised, Chronicles, and foreign cards, just to try to get as many people interested as possible. Future tournaments will experiment with the restricted list and with legal sets." This will be a short post, as I need to prepare for the national holiday in Norway tomorrow. I've celebrated national holidays in a few different countries; Independence Day in San Francisco, Bastille Day in Paris, Nationaldagen in the Swedish woods, and St Andrews Day in Edinburgh. Nothing beats the 17 of May in Oslo though. The entire city suits up. I was actually trying to write a proper introduction about the decks here. Muse about the Arvika players, and maybe add something about the spirit of the format, which these guys embodies with passion. Guest are coming over for the weekend in less than an hour though, so I'll let the decklists do the talking. What I will say is that I'm very impressed, and certainly hope to see more of these guys! Now, this deck is pretty easy to dismiss; it only plays 19 mana sources, 17 pretty random fatties (e.g. three different Elder Dragons and a pair of Craw Giants), and a single Concordant Crossroads. Our next list from last n00bcon is a little harder to dismiss though. Sveby was one of the 93/94 format's first players, starting his tech back in 2007. One of his more memorable decks is the Shahrazad/Tormod's Crypt deck from n00bcon 2. 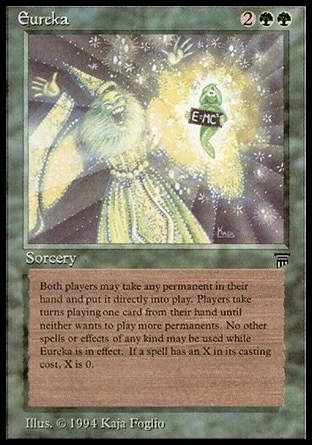 That interaction stopped working after the exile zone was introduced to the game during the summer of 2009 (exiled cards in subgames weren't returned to the library in the main game before that), and he went on to build new odd decks. Shortly after the release of Ice Age in 1995, a master deckbuilder named Mark Chalice won a 50 person tournament i Costa Mesa, CA. The deck he used for the tournament was was called Vercursion Recursion. 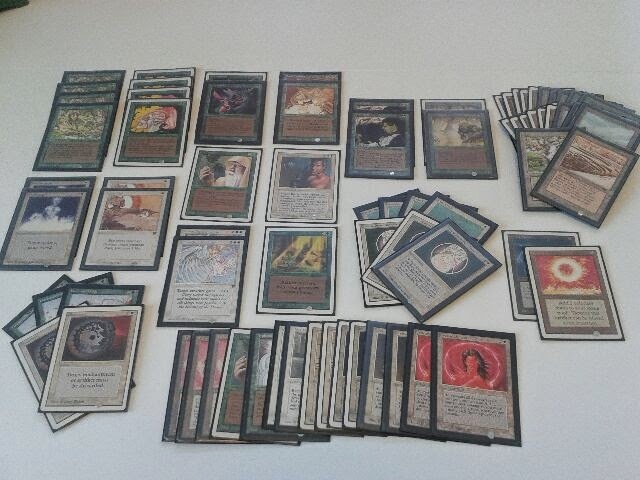 Mark had previously built the Fork Recursion deck, a deck that consequently got Fork on the restricted list (and is the main reason we have Fork restricted in 93/94). When he couldn't use Fork anymore, he realized that Verduran Enchantess could be used as an engine, and went on to build the first known Enchantress deck. The Vercursion Recursion deck heavily relied on 4 copies of Forgotten Lore from Ice Age, and took good use of Mesmeric Trance and Zuran Orb from that same set.